The much anticipated road dragon- the Suzuki V-strom is expected to hit the market this year, starting from the highly enthusiastic Indian market. The V-strom is expected to go on sale in august or latest September 2018. The stinger has made major buzz as bike lovers around the world are looking forward to its new improved specs. The V-strom was first displayed at the 2018 Auto Expo in India where it scintillated its viewers. The wonder bike is set to launch at the second half of the year. Suzuki has stated that the finished products would be shipped to India through the Completely Knocked Down (CKD) route, in a view to provide competitive pricing for the V-strom. The Kawasaki has been a tail-adversary as far as pricing goes, creating a much affordable line which has given it a competitive edge. The price tags may fluctuate especially as competition rises in the market, but Suzuki will do well to provide a competitive price around 6.5 lakh for the V-strom 650. The Suzuki V-Strom came quite prepared hoarding a 645cc, liquid cooled, 90 degree, 4 stroke, v-twin which pushes a 70bhp at 8,800rpm and of course 66Nm of peak torque. 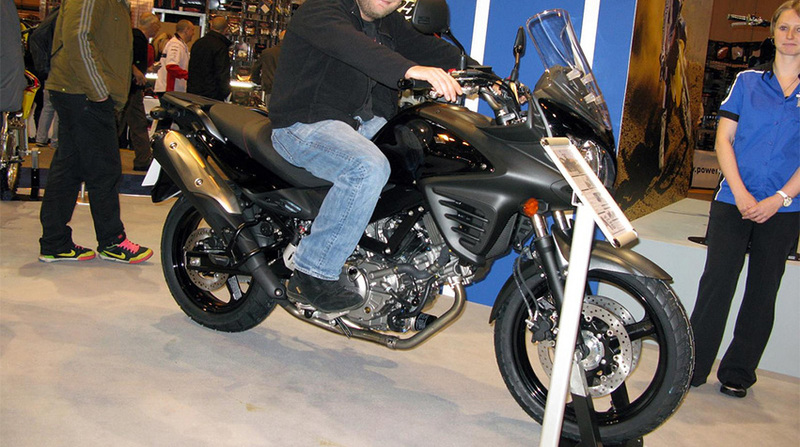 There are two available variants for the V-Strom 650; the V-Strom 650 XT and its wingman, the standard V-Strom. The 650 XT is expected to launch sometime in India. And what is a powerbike without its wheels- the runners are the icing on the cake for the V-Strom. It features a cast aluminum wheel which goes side by side with Bridgestone battlewing tyres. The V-strom 650 XT is built for the off-roads and would get aluminum rims with exquisite stainless steel wired spokes. Other protective measures that come with the powerbike are handguards, plastic body protections, engine cases, and other artilleries. The V-Strom is geared up to take on the extreme outdoors.